Senior-living companies are responding to increasing demand by offering a variety of services, including heated pools and fine-dining restaurants. Bhattacharya’s thoughts are quite possibly a response to the question that today comes up in many dinner conversations in urban India, especially after a few drinks: “What are we doing with our lives?” Ideas as varied as building cottages in the hills to running a homestay are bounced around. Early retirement is always the goal, as also shifting from the bright lights of the big city to a quieter and fulfilling existence. When I was in my early thirties, these conversations were focused on ditching corporate life and plunging into entrepreneurial pursuits, but there has been a perceptible shift in my early forties. Retirement and old age has drifted into my thoughts. For my friends with children, these plans are still fluid, but for the child-free, like my husband and I, “old age” plans have started to feature regularly in our conversations. Not in a defined structure, but as a wish list for what we hope will be as independent, active and healthy a phase as possible. Similar thoughts are crossing the minds of other many urban couples and individuals. For even those with children, it is neither easy nor desirable to compromise on one’s independence or encroach on their children’s lives. Though most plans appear to revolve around friends or family building something together, fulfilling the need for social and emotional support, there is also an increasing interest in and acceptance of senior living options. While concepts like old-age homes have often had negative associations, the idea of moving to retirement villages or senior living accommodation is slowly catching on in India. M Jonas*, a 50-year-old aviation professional, recently settled his mother into a retirement home in Bengaluru, and is considering it for himself at a later stage. Priti Salian, a writer in Bengaluru, has been contemplating investing in a senior living space for a few years. “We would like to buy it now and keep it for later, moving in when we are still active and independent,” said Salian, who is in her forties. Photo credit: Antara Senior Living/Facebook. India currently has a relatively young population, with more than 50% of its citizens under the age of 25, but the demographics will shift. A report by the Confederation of Indian Industry projects that India’s senior population will treble to 300 million by 2050, highlighting the need for more infrastructure and services to support this significant section of society. The report points to the current gap between supply and demand for urban senior housing: there are approximately 20,000 units currently operational, under construction, or in the planning phase, while the urban demand is for 2.4 lakh houses. Senior living refers to housing for people above the age of 55, offering convenient services, senior-friendly design features and access to social activities. Medical support and healthcare are often included. 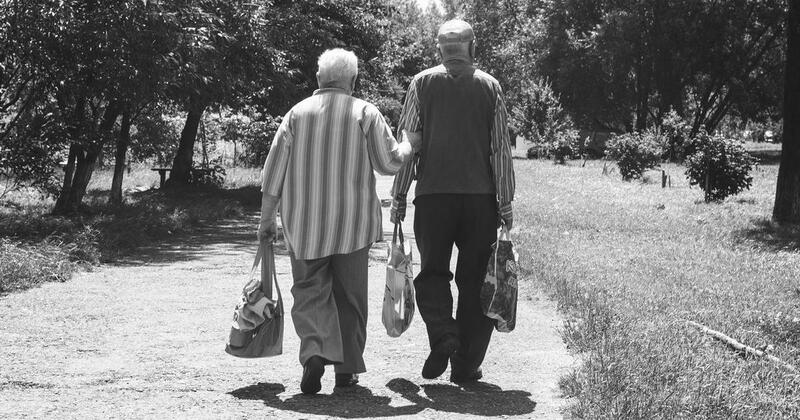 Within senior living, there are different concepts, such as independent and assisted living. The former refers to housing and communities for active seniors who are healthy and independent, while assisted living is for seniors who require varied levels of support, such as caregivers and nursing. Concepts like Continued Care Retirement Communities, or CCRC, include both independent and assisted living, allowing residents to transition, should they need to, within the same community. One of the earliest to venture in this space was Ashiana Housing. Their first project in 2005 was independent living units in Bhiwadi, Rajasthan, but they soon realised that it was difficult for residents to move to a separate facility if their health deteriorated and they needed daily assistance. Now all of Ashiana’s senior living projects in Chennai, Lavasa-Pune, Jaipur and Bhiwadi are built on the CCRC concept. Ankur Gupta, joint managing director of Ashiana Housing, says the transition to retirement and senior communities is easier when one is active, able to make friends and enjoy the community and activities, rather than at a time when they need assisted living or are in their seventies. Photo credit: Ashiana Housing Limited/Facebook. Pierre Fitter, a 35-year-old communications professional in Gurugram, recognises that with longer life spans, one needs to think long-term. He and his wife are child-free, and growing older for him means “spending more time on leisure, less on work”. While awareness about the retirement options in India is low, Fitter knows about them because his grandmother resides in a private retirement home outside Mumbai, and his mother has bought a flat at a retirement village in Goa. Like them, he is open to the idea of senior living, but he is unsure where and when his wife and he may choose to settle. Most senior living options allow for the purchase of housing units, though there is a rental model as well. Ashiana has approximately 2,500 units across their senior living projects, 1,600 of which are occupied. Pricing for independent living units range from Rs 30 lakh to Rs 75 lakh, while assisted living requires a Rs 5 lakh deposit and approximately Rs 45,000 rental a month, which includes services like food, nursing, caregiving and furnished accommodation. Like Ashiana, several other developers offer similar infrastructure with senior-friendly design and features such as anti-skid tiling, emergency response systems, arthritis-friendly fittings and security arrangements, among others. ANAROCK Property Consultants estimates there are 4,500 completed senior living units in the market currently, and over 2,000 under construction. There are 10 more projects expected to develop over the next few years. Photo courtesy: Ashiana Housing Limited. Some of the earliest senior living projects mushroomed in Kerala, the united Andhra Pradesh and Tamil Nadu, spurred by the fact that the young working population in these states was migrating abroad, leaving behind ageing parents who needed support. The concept has now moved from traditional retirement hubs such as Coimbatore, Puducherry, Goa and Dehradun to suburban areas around major cities such as Delhi, Bengaluru, Chennai and Pune, which allow for more space and less cramped environs for large retirement projects. Some of the players in the market include Covai, which started its first project in 2004. It has since expanded to 17 senior care communities across India, which also offer specialised services with assisted, palliative, memory, persons with disabilities care. Retirement home communities like Brigade Orchards’ Parkside Homes in Bengaluru have one-bedroom apartments for sale starting from Rs 55 lakh, with facilities and services for residents, including help with chores, security, a library, housekeeping and medical care. There are also luxury retirement communities like Antara Senior Living in Dehradun with varied apartments, features like imported marble and wooden flooring, fine-dining restaurants, an indoor heated pool and a theatre, priced from Rs 2 crore to Rs 8 crore. 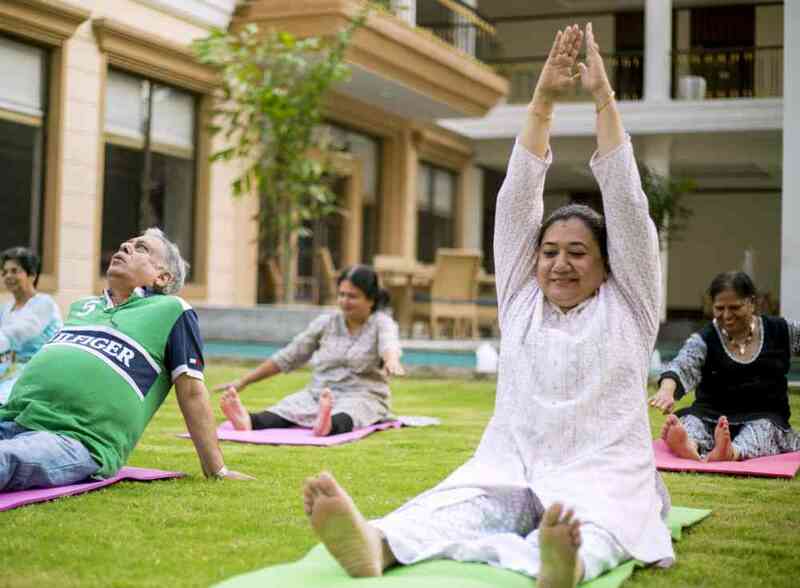 The Golden Estate in Faridabad describes its community as “privileged living for senior citizens”, with suites or studio-style furnished living spaces, housekeeping, dining, planned activities and medical support. With both long and short stay options, The Golden Estate works on a security deposit model with monthly charges ranging from Rs 44,000 to Rs 1 lakh, depending on duration of stay and single or double occupancy. For those who prefer to stay at home, there are increasing options for in-home care. Eldercare, for instance, provides economical packages across 22 cities. The services include the allocation of a military veteran as a care manager who carries out monthly visits to assess general and healthcare needs. Other organisations like Samvedna Senior Care provide dementia care and active ageing-related services at home and at their senior care centres. 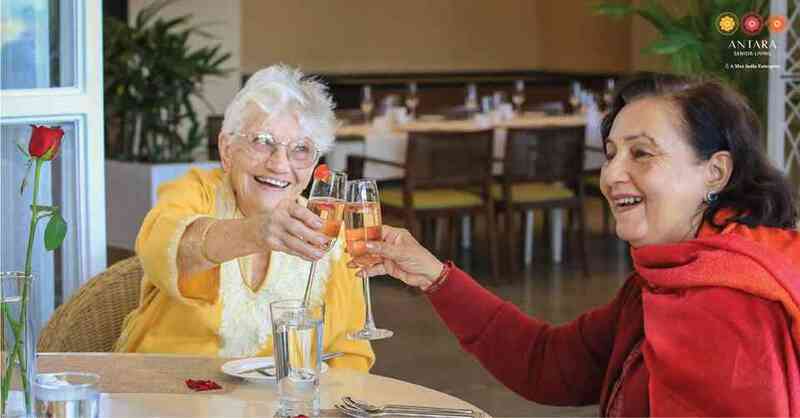 Manisha Shekhar, research consultant at Ignox Consulting, who worked on the Confederation of Indian Industry report, says that “though the stigma associated with senior living is fading, several people were averse to the senior tag”. It is important, she says, for the expanding industry to provide services that cater to emotional and mental well-being, besides other facilities such as specialised care for illnesses and tourism services. The Facebook group JOY, or Just Older Youth, is a result of the market’s varied needs. It is made up of singles over the age of 50 – unmarried, widowed, separated or divorced – who are interested in community living with like-minded individuals. “Couples have plenty of other retirement communities and options,” said a member of JOY, and singles too need companionship and support in their retirement.